Dunk the apples into a large bowl of boiling water for 30 seconds, remove with a slotted spoon and allow to cool slightly before wiping the skins with kitchen paper – this will remove any wax from the apples and allow the toffee to stick better to the skin! Place the remaining ingredients into a large pan and melt gently over a low heat. Then bring to the boil for about 15-20 minutes stirring frequently – if you have a food thermometer the temperature you need is about 130C! IT IS VERY HOT SO BE CAREFUL! It will be quite a deep brown caramel colour and will have a cinder toffee smell. Remove from the heat, and very carefully take each apple and roll in the toffee to coat completely. Leave to set on the parchment until hard. Looks delicious. 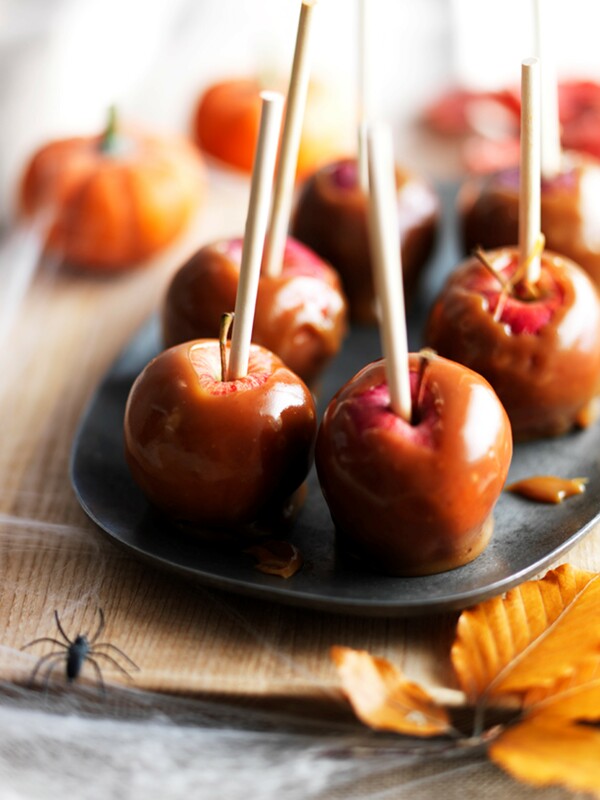 We love toffee apples, but I’ve never tried making them myself. Saw your blog on #ablogginggoodtime.